As we say good-bye to 2015 and welcome 2016, we pause to reflect on all that God has blessed us with while acknowledging the new plans and precepts that He has in store for us in this new season and this new year. up and running, and the “machine” would begin operation. Our Christmas and New Year holidays were overshadowed by the conference simply because we were in the throws of crunch time, only a few weeks away from our “Move-In” time at the hotel. Every year would build with anticipation and excitement. I was always blessed when people would actually call to register. It was such a joy to hear what God did for them in the previous conference. And of course there were always new folks connecting with us would would offer prophetic encouragement to the vision we were running with. In 2006 we saw folks coming to the conference literally from around the world. We had Turkey, Australia, Japan, Europe and of course delegates from all over the United States. People were so hungry just to be in a “Safe Place”; a place where many of them discovered the presence of God for the first time. A place where one individual in particular who had a Methodist background and had never been around anything Pentecostal or Charismatic in his life; yet, in the middle of the worship, God healed his eye that had been blind for many years. I could go on and on with great testimonies that were reported back to us all through the years. We literally have a book! Last year, God gave us a rest from this great task. We felt that He said, “You received the vision, you wrote the vision, you ran with the vision, now take a breather.” And that is exactly what happened. God has given us a year to rest, refresh and position ourselves to receive direction for the next season of our ministry. We didn’t stop doing ministry in 2015. As a matter of fact, we did more television ministry in 2015 that surpassed all the years previously. As you know, we have worked with David & Barbara Cerullo at the Inspiration TV network (INSP) since 2003. When the economy took a down-turn, they stopped filming as much as we once did. In 2015, tapings ramped up once again and we worked multiple events assisting their ministry. Such an honor and a blessing! four day stents throughout the year. I was truly blessed to reach out to connect with individuals who were worship leaders and ministry leaders to assist me as my worship team, some of them I had not ministered with in almost 30 years. It was amazing to experience this reunion with so many of these talented and anointed individuals. It was while working with Cornerstone TV that I witnessed a new season being birthed within me and Michele and His Call Ministries. Every week of programming, I would endeavor to bring in new worship leaders and musicians to give a fresh look and feel for the program. With these different teams, the sound was always very different, and there was a unique anointing with each group that came together. That was not the most exciting thing that occurred; yet, it was the catalyst for God to get our attention for the future. When I brought in each team, we would spend the mornings gathered at my hotel lobby to plan our rehearsal times and our day. Some days we had opportunity to visit the city, but with each week of programming, something greater exploded. the Convention Center in 2008. Something had shifted within me. I felt something come alive that had been suppressed for such a very long time beneath discouragement and unanswered questions. And in that moment, I felt that God had changed my perspective not only on how I minister, but also how ministry may look for us moving forward. I have always been so thankful to the friends and ministry partners who supported the vision of His Call Ministries. Whether that was hosting the Throne Zone, or regional Nights of Worship, or the KWI, or ministering on TV or the local churches. All of that has been an amazing journey. Yet, at this stage in my life, I watch as people worship so freely, yet leave the same way they came in, never changed. I have been left with many questions and concerns. I have often asked, “Have we truly had a God-encounter if we leave from that moment not changed?” I believe that when we have a divine and personal encounter with the presence of God, there is a change that SHOULD take place. Something needs to shift and come into alignment with God’s word. I am truly concerned with the state of the church right now. I see a great emphasis on worship, and even prophetic worship. We have amazing leadership displaying this. However, my concern though is that we have more “Worship” than we have ever experienced within the church, and yet we have the least amount of “Transformation” than ever. We have so many that are claiming they are Christians, yet there is no change that has occurred in their lives. This leaves me questioning the scripture, “If any man be in Christ, he is a new creature. Old things are passed away, behold all things have become new.” I am concerned that the old man is lingering and not passing away to allow the new man (Holy Spirit) to set up residence within many of these individuals. For 2016, I believe that God is ramping up that Apostolic Mantle upon me and Michele and His Call Ministries. I believe that God is focusing us on pouring into leadership to help train, encourage, equip and initiate a Global Transformation. Pastor Benny Hinn once said that there is no way possible for him to bring revival to the Body of Christ. Rather, he felt called to revive leaders knowing that in turn they would release revival and renewal into their sphere of ministry. And perhaps that is the best way to articulate what we are discerning for this new season in 2016. I need that in our lives as well. We are asking God to give us clear direction how to move forward with this mantle and vision that continues to unfold. There is so much to convey to you, but a letter is simply not room enough to share what is stirring within our hearts. I have desired to gather all of our ministry partners- those who have partnered with us over the past years- first to say “THANK YOU” for sowing into the fertile soil of this ministry. Looking back over the years, there is no way to question if we made an impact, because with- out a doubt we have! But the second reason is to share all that is stirring within us and ask you to pray for us as we move forward. Asking God for clear direction, for Kingdom Connections and Divine Appointments. And lastly, a time to release into our partners this new impartation for this next season of ministry. We are praying and asking God, “Where could we do this?” As our family has put down roots here in Raleigh, NC, we would love for you to come here….to our home city. But we have been a little concerned if you would come from where you are, just for a little food, worship and sharing what God has placed within us. So please, help us pray. Email Michele (michele@hiscall.org) and let her know if you would be interested in our trying to plan something here in Raleigh for our partners or if it would be easier for you to join us in Virginia Beach area. Most importantly, I ask you to pray for us. Pray that we would have our ears pressed close to the mouth of God so it is only His voice that we are listening to. We hear only His directives and instructions, and not allow anything contrary to enter into our ears or hearts. I believe 2016 is a new season for you. Just like with His Call, we may not be doing business as usual; it may not look like it has in the past. We may be tempted to try to revert back to what we have known in the past because it was successful. But you and I both know that is not what God has for us in this new season. He is calling us out of the comfort zone to journey closer than ever before into the Throne Zone. We must make it past the doorway of Praise and learn what it looks like to live in Dominion in the Throne Zone. Please email Michele or myself and let us know your thoughts about Raleigh or Virginia. We love you and pray Christ’s richest and most abundant blessings upon all you do in the Kingdom of Heaven. Much love from the Duncan Family and Happy New Year! This is the season that we celebrate Resurrection Sunday; the time when we celebrate the true hope that is found only in the Risen Savior. It is a specific time of year that marks the change of a season. Unfortunately, most only use this holiday to herald the entrance of spring. They use Easter Sunday as the indicator of when it is OK to wear certain colors and styles. It is a time for retailers to cash in on our finest clothes, and a time when kids go Easter egg hunting. Yet the fact remains, Easter represents the greatest change any individual could ever en- counter. We have all recounted the story as we remember the account of the crucifixion in the Bible, or when we watch it on the big screen. We have witnessed great musical productions and cantatas to remind us of what exactly happened over the course of those three days. The Roman Empire thought they had silenced the one who disrupted their economy and challenged the religious para- digm of that day. They watched as He suffered, bled and eventually died on the cross, and they celebrated as His follow- ers placed him in a borrowed tomb. 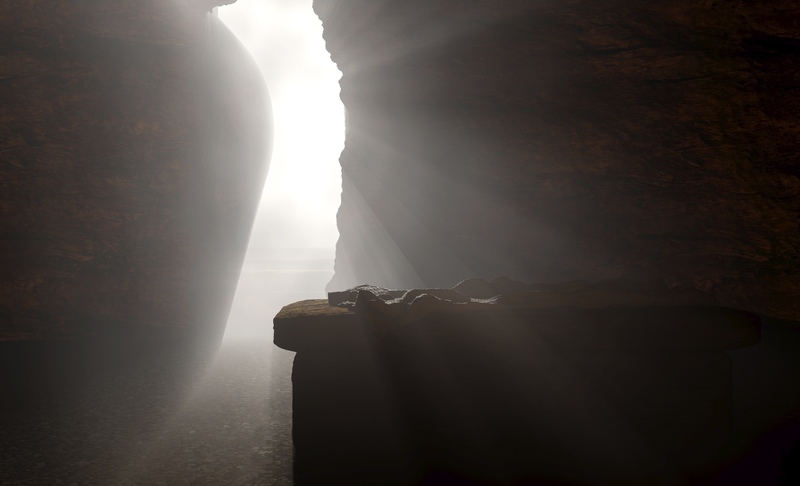 When they rolled the stone across the entrance to the tomb, they were convinced all of their troubles had ended. Little did they know that the story was only just about to begin to unfold, and would continue to challenge the paradigms of society for over 2,000 years. They did not understand that a stone covered tomb could not silence that which is eternal. The enemy of your soul operates under this same deception. He thinks that if he can simply place you behind of a tomb- stone, he can silence your message and the impact you have upon others within your realm of influence. Therefore, he does everything he can to steal from you, kill you and to destroy your influence. Remember, John Maxwell says that Lead- ership is Influence….nothing more, nothing less. Satan desires to silence you and kill your influence. He will try to get you fired so you have no influence with your co-workers. He will try to make you sick so you spend all your days battling sick- ness and never realizing the impact you have on others who know you. For many, he seemingly is being successful as many succumb to sickness, disease or depression. But often the attack is much more subtle. As I shared with you in last month’s blog, I had an epiphany moment while sitting at the piano. During that encounter with the Lord, I heard Him say that many are still being held captive behind the stone. Perhaps the stone is not sickness and death. It is not a stone that can be rolled across the entrance of a tomb. Rather, it is a metamorphosis that takes place within the heart of a man. It was during this Kairos moment with God that I received the revelation on this scripture. The heart of flesh is one that God can prick with the power of the Holy Spirit. It is one that is sensitive to the things of God; one that is quick to receive the word of the Lord and do what the word of the Lord instructs us to do. It is one that has great sensitivity and discernment and one that is also quick to obey the word of the Lord. It is this type of heart that is in the cross-hairs of Satan’s scope for your life. Therefore, he uses every weapon possible to injure, cut and stress the heart. Why? Because when the heart is cut, it will heal with a scar. Over time, that scar tissue causes this heart of flesh to be- come a stony heart; one that is no longer sensitive to the move of God, it does not respond quickly to the stirring of the Holy Spirit, it leaves questions rather than obedience; it is slow to discern and grows weary in well doing. In my time with the Lord at the piano, He simply said that we need to allow Him the opportunity to pour forth the Healing Balm of Gilead into the wounds of our heart. It is that healing salve poured forth that will cause the wounds to heal leaving no scar tissue, and therefore allows us to maintain a heart of flesh rather than forming a cold/hard heart. This is God’s plan for you and me. He does not want us to suffer from a heart of stone resulting from past disappointments and discouragements and let downs. He wants us to allow Him to pour forth that oil that produces healing, leaving no evi- dence of a wound. And as we encounter that healing balm of Gilead, He desires us to share and impart this message to others. That is what it means when we become messengers of the good news of Jesus Christ. 1. When going through something, remember you are going through it….this too shall pass. 2. As long as you continue moving forward toward the call of God upon your life, you will pass through what you are going through, and not be captured and contained in your present circumstances. God never called and expected us to understand or figure things out. He simply calls and expects us to obey. There is no qualifying balance sheet of pros and cons that we have the luxury of weighing out. Although that can happen, just realize that there are times when He tells us to do things that simply cannot be rationalized. When He called Peter out of the boat, that did not have any reason or logic; yet Peter was able to defy a natural law of gravity and walked upon the water….simply because he obeyed. Today, let us decide to allow the Holy Spirit to roll away the stone from our heart. Let us allow Him to place His hand upon us as we operate in the natural, yet giving us a Super-Natural impact. Roll Away the Stone, and begin to walk in the new season that God is releasing upon your life and ministry! It is hard to believe that we are now preparing for our 2nd Christmas here in Raleigh, NC. Christmas decorations are going up, furniture is being rearranged and parties are being planned. Aside from the normal hustle of life, there is a difference in the air this time of year; our entire atmosphere changes. This is the only time that radio stations preempt their normal playlist and begin to release the sounds of Christmas. 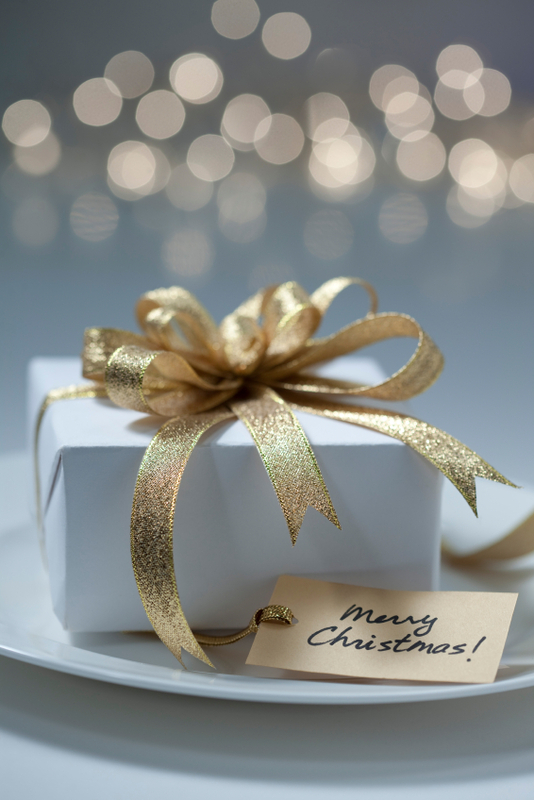 For some, it is merely a marketing ploy to get you to buy more gifts for those you love. For some, it will serve as a reminder of time with loved ones we have lost. Yet for some, this can be a very discouraging time of the year. Regardless of the motivation of others for this most precious Christmas Holiday, we know and celebrate the true meaning of Christ- mas. It is the birth of Christ that gives us the greatest gift of all- Salvation and of course HOPE. But this time of year also marks the ending of another year as the Holiday celebration shifts from Christmas to the New Year. 2014 has been a year of transition. Transition for our country and a year of transition for many of you whether that be in your family, your job, your ministry or simply a transition in your life. 2014 was a year when we continued to travel to conferences as we have done over the past 12 years. Surprisingly, God re-opened a door that had seemingly been closed to us and this ministry. This year, INSP (The Inspiration TV Network) called us back on numerous occasions to assist with their Live events which not only broadcasts in the USA, but also globally. This was very different than before, and we watched as God allowed us to spread the mes- sage of the Kingdom through worship across the airwaves…Internationally. This was also a year that God connected us with new friends in the television industry. We were blessed to forge a great relationship with Don Black (President) of Cornerstone Television Network in Pittsburgh, PA.
Perhaps what excited me the most about this new relationship is that God allowed me to be on camera and actually teach on the sub- ject of Praise and Worship. Not only were we asked to teach on the subject, but they asked me to bring a ministry team to teach by example and illustrate what I was sharing. This made such a great impact on their viewing audience; the network actually made a 1- hour special that combined my teaching on worship along with leading worship. The network has been very gracious to allow us to use this 1-hour as we desire. I will be uploading that to our special partner page on the website that I spoke of last month. Yet again, this is a new relationship that God has opened to us to teach, train and equip believers in the area of praise and worship, as well as communicating to the unchurched our ability to communicate the access we have been granted through Jesus Christ to spend time with God…in HIS presence. But this has also been a year when we have lost several loved ones. Two weeks ago, we were shocked with the passing of Jay Nicholls. Jay and Laura have been very dear to me and Michele and His Call Ministries. They are not only friends and ministry part- ners, but part of our leadership team. You may remember the Ark of the Covenant that we have used at the past several Throne Zone events (Central & Carolina). Jay was the one who actually built that and allowed us to use it. Laura, his wife, wears many hats that include projection for all of our events and assisting Michele with all of the logistical details for all that we do in the Kingdom. We also lost Dr. Myles, his wife Ruth and seven others from their ministry team that were tragically killed when their private aircraft crashed last month. 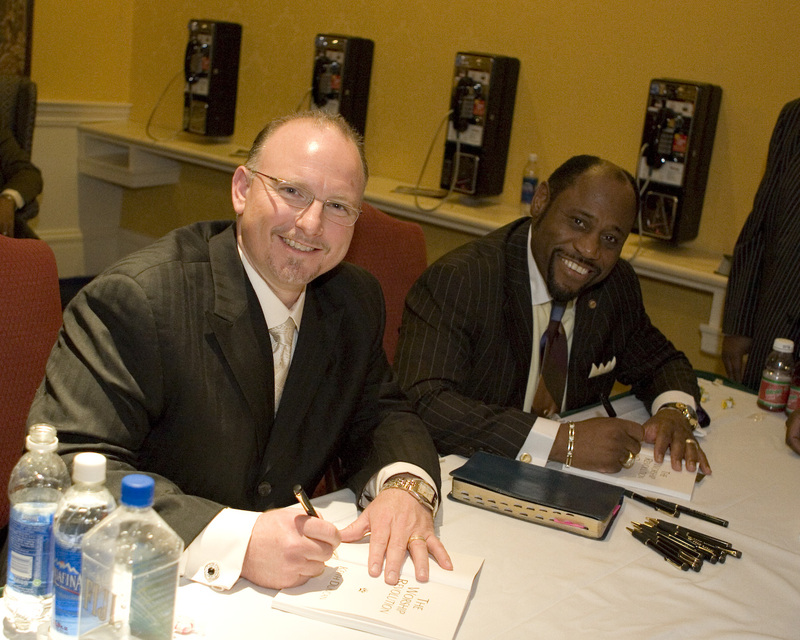 As I write you today, we will be remembering and honoring the lives of my spiritual father & mentor Dr. Myles Munroe and his lovely wife Ruth. Although Michele and I are unable to attend the service we will be watching it, via live stream, as will countless others who lives were poured into by this amazing couple. One thing that Papa Myles shared with me that would be great for us to keep in the forefront of our minds- especially as we close this year out. He always said that our goal is to Die Empty. I know some of you reading this right now may feel that you are (and have been) running empty for a long time. Promises and prophetic words seem to be so very far from ever becoming a reality right now. As a result, discouragement has set in. You have lost your pas- sion, your focus and even your desire to pursue the things that God once placed in your spirit. You find yourself asking, “What do I do now?” But this is NOT the “EMPTY” that Papa Myles was speaking of. As you have heard me say many times before, DELAY IS NOT DENIAL! It is very easy for us to feel empty, that we have nothing else that we can give or do. It is easy for us to think that we missed God’s tim- ing and therefore have missed His perfect opportunity for our lives. Just because it has not happened yet, does NOT mean that it will not happen. It simply means that it is not happening at this very moment. There are many factors that contribute to this reality. Some factors are dependent upon us, and then some are dependent upon others. Perhaps God has a specific job for you, but you are not able to move into right now because the other person who currently occupies that position is not willing to move….or the place where they are to move has not yet opened up. That doesn’t mean it will not happen for you. It simply means that your promotion is on the way, it is just not here at this very second. But it does mean that it is in the works, although you have not seen the complete manifesta- tion of that reality. Yet again, it requires faith & confidence. Confidence knowing that all things work together for good to those who love God and are called according to HIS purpose. Do you love God? And has God given to you a specific purpose & destiny? If so, then you need to recite this scripture and live by it. ALL THINGS WORK TOGETHER FOR GOOD! All simply means ALL! The good and the bad. ALL THINGS! We must first realize that God is not through with us yet. If He were, we would have no reason to exist on planet earth. Remember, you were born for a specific plan and purpose that no one on planet earth can accomplish other than you. That is God’s plan for your life. So, if you have not yet fulfilled your purpose, do not grow weary in doing well because you will reap your reward and harvest in due sea- son. Remember there is gap between conception of the vision, and the birth of the vision. With babies, that period is called the Gestation Period. During this season, many things happen to the baby, but many things happen to the mom as well. This is a period of growth for both mom and baby….and even dad! Furniture has to be purchased for the baby, clothes bought and that guest bedroom still has to be converted into the new nursery. Those red walls will be painted to more subtle baby friendly colors all the while mom and baby continue to grow. January 1st is basically a “Begin Again” time of year. It is when gym memberships skyrocket as people decide again this year that they will get in shape and lose those 10 extra pounds. 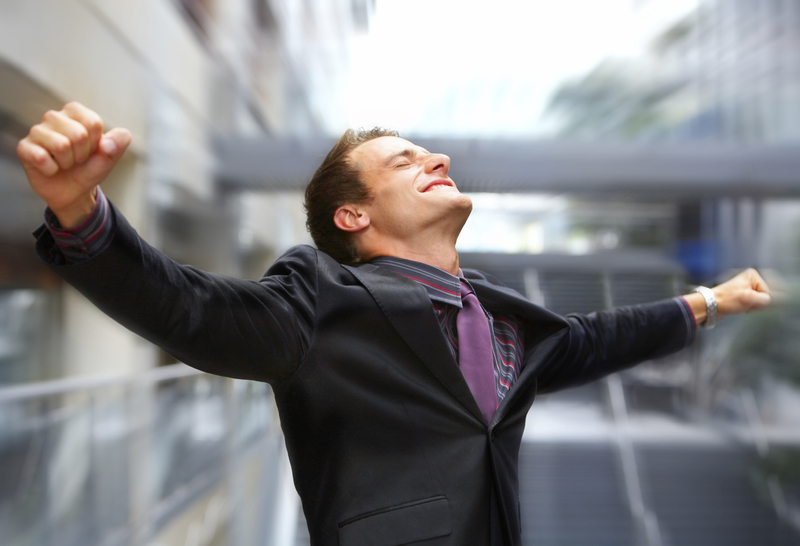 It is a time when businesses wipe the slate clean for their sales and begin a brand new. 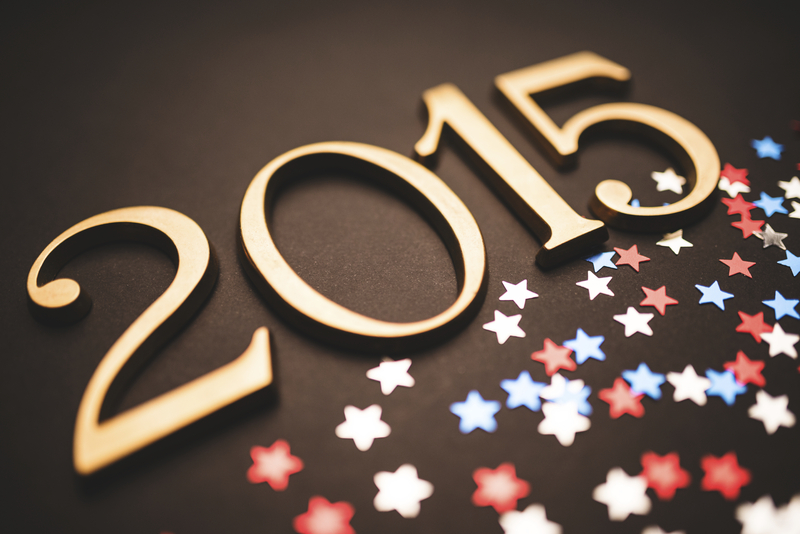 Some businesses experiences losses at the end of the year. When they do, they don’t quit. They use that period to reevaluate what they did well, and what they did poorly, and then make the needed adjustments. Other businesses experience great growth and profits, and this time of year they evaluate how they will take those profits and utilize them to grow their business and bring stability to their organization. In other words, December is not only a time for us to give gifts to others and sing wonderful and timeless Christmas classics and carols. It is a SELAH moment where we stop long enough to reflect on the past year, make needed adjustments and prepare with fresh vision for the upcoming year. It is a moment every year when everything seems to stop and give thanks, and this is exactly what we need to do as well. This is our SELAH moment. It is our time to stop, think back on all that God has done for us and give thanks. We count our losses and our gains, but we stake our total being upon Jesus Christ and our dependence upon Him and Him alone! It is this time when we listen closely to what HE is saying for our lives and business and ministry, and a time we make the CHOICE to obey HIS instructions for our lives. May this Christmas season truly be a SELAH for you and your family. May you stop and meditate on the goodness of the Lord and the many blessings He has given to you even though you may have experienced great loss. Michele, Judah and I wish you and your family a very Merry Christmas. We wrap our arms around you with a great big hug. We desire to encourage you to continue pressing toward the prize of the high calling which is in Jesus Christ as we all endeavor to answer HIS CALL upon our lives.